1- Acquire build files from Arch Linux user repository. It will be a two-step process. First, we will install Yaourt, then use it to install VS Code. Yaourt makes installing VS Code pretty easy, we just have to execute the following command. During installation, you might get an error due to the limit on the number of files opened by a process. To increase the limit, add the following lines to /etc/security/limits.conf file. Don’t forget to replace <username> with the logged in user’s name and also restart the machine for the change to take effort. You have to say ‘no’ to edit pkgbuild. Also try without ‘sudo’. If you are still getting the error, please share the error message with me here…. I will try to help. I also faced an issue with installing the latest version of vscode using Yaourt. 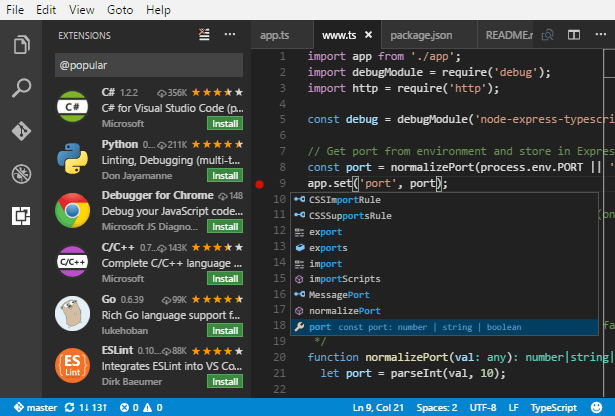 As Yaourt is not actively developed, I have included in the post another way of installing vscode directly from AUR (Method # 1). Please use method # 1 if Yaourt is not working.